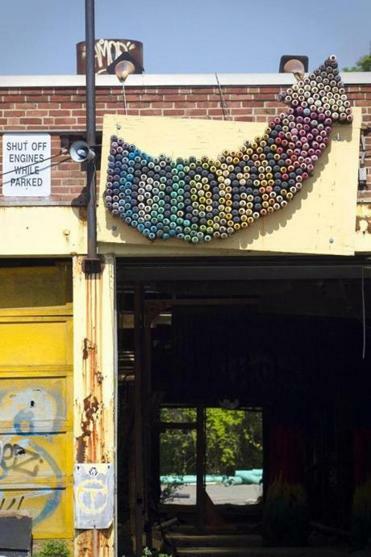 Artists covered the old Bartlett Yard bus depot with their works. The brick at the Bartlett Yard bus depot has spray paint and history caked into its creases. It’s the remnant of a brief moment when the walls of the maintenance facility became an open-air gallery in Roxbury. During the summer of 2013, it was a haven for art shows, impromptu concerts and photo shoots. Murals still cover almost every inch of this space. But it was never meant to last. 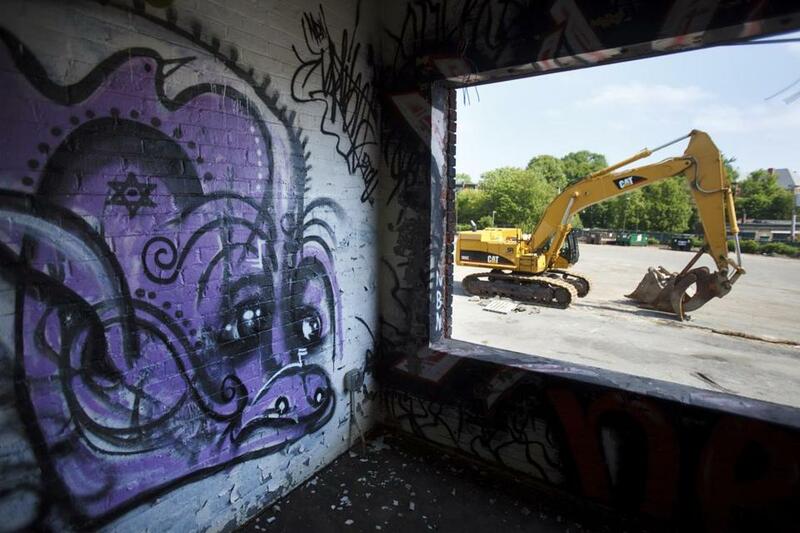 In much the same way that Long Island City recently bid farewell to 5 Pointz, an old New York factory turned graffiti city, artists in Boston are saying goodbye to the sprawling Bartlett Yard. Demolition day arrived a week ago. The 8½-acre property at the corner of Washington and Bartlett Streets is slated to become Bartlett Place, a mixed-use development with residential, retail, and a charter school with a focus on the arts. After an almost two-year delay, demolition is finally moving forward. Mark Matel, project manager with Nuestra Comunidad, said one wall in the new development will be set aside for artists to paint. For a while, Bartlett Yard was one of a handful of spots in Boston where one could spray paint walls without getting arrested. Nuestra Comunidad and its partner Windale Development gave their blessing, allowing artists to transform the buildings near Dudley Square. Jeremy Alliger and his producing partner, Jason Turgeon, funded the Bartlett Yard arts and cultural effort under the non-profit, Alliger Arts. He remembers that creating a temporary space for street art was a battle.Some residents were already against Bartlett Place, viewing it as gentrification. They were also against the idea of murals on the blighted bus depot. At first. In time, a local church brought their congregation to tour the Bartlett space, he said. Residents who’d worked at the depot before it closed in 2005 came to watch artists paint. Two Bartlett artists went on to do commissioned art works at City Hall. It drew a mix of artists. Gomez created a second-floor image of the Orange Line, which once crossed a rail line through the lot. There are tributes to fallen firefighters, family members, fellow artists and friends who died of drug overdoses. People came from Europe, Canada and across the United States. The Bartlett Yard bus depot, which has been a playground for graffiti artists for the past few years, is finally being demolished. He listened to kids practice free-style rapping in a nearby alcove. Art would simply show up, such as a pair of giant sneakers made from a pile of sticks. The laces were fire hoses and the soles cut from old tires. There was a garden and places to sit. Parents let kids wander and draw on the walls. Liz LaManche, an artist from Somerville, used imagery that riffed on old Ethiopian manuscripts as well as faces and birds. Her mural was across Washington Street from the Ethiopian Evangelical Church. Cedric Douglas walked through the yard a few weeks before demolition. He wandered the property like it was his living room admiring new pieces that arrived after the art project was shuttered at the end of 2013. Douglas’ nights were spent painting that summer. He pulled down old piping while working with Mas Paz, an artist who lives in Washington D.C., and well-known local artist Percy Fortini-Wright. Green sludge leaked down the wall. Their cellphones lit the way in the dark. There was barely a pinpoint of light, yet between the two of them they created a large abstract mural that remains there to this day. Strewn throughout that warehouse are old spray cans and Trivial Pursuit cards. Bartlett was a place where their art would burn, Douglas said. In graffiti subculture, that means their art was so powerful, it caught fire. Maybe it added to the feel of the place, the fact that one day, everything would disappear. A commissioned piece on a garage door may be the only survivor of the old bus depot. Douglas created it with Fortini-Wright. It’s a black and white portrait of civil rights activist Rosa Parks. She’s gazing across the property, waiting patiently for the bulldozers.